Accompanying Cook on his first voyage was wealthy young botanist Joseph Banks, who would become a strong advocate for a British settlement in New South Wales and one of the most influential men of his day. Banks led a group of gentleman scientists and artists who were coming to record, observe and collect plant and animal material as well as cultural items from any locals the company encountered. From his personal fortune, Banks outfitted his scientific team with a fine reference library, collecting equipment and ample space on board ship to store specimens and work. With Banks went Swedish naturalist Daniel Solander and scientific artists Sydney Parkinson and Alexander Buchan. Parkinson specialised in botanical and natural history drawing, while Buchan was responsible for landscapes and coastal views. Sadly, neither artist survived the journey. Buchan died in April 1769 and was buried at sea. Parkinson created hundreds of sketches and paintings during the three-year voyage, but he died at sea in January 1771 after contracting dysentery. 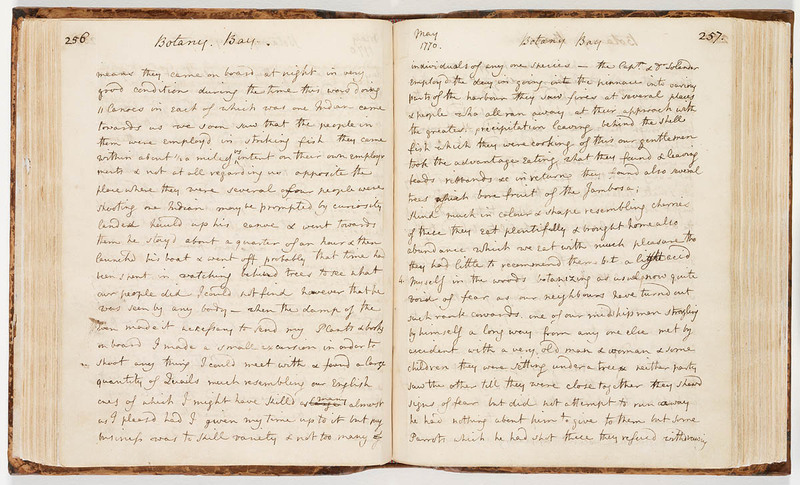 Death at sea was a common occurrence, as the journal kept by James Roberts shows only too clearly. A servant to Joseph Banks on the Endeavour voyage, Roberts included in his journal a list of the officers and ship’s company on board. 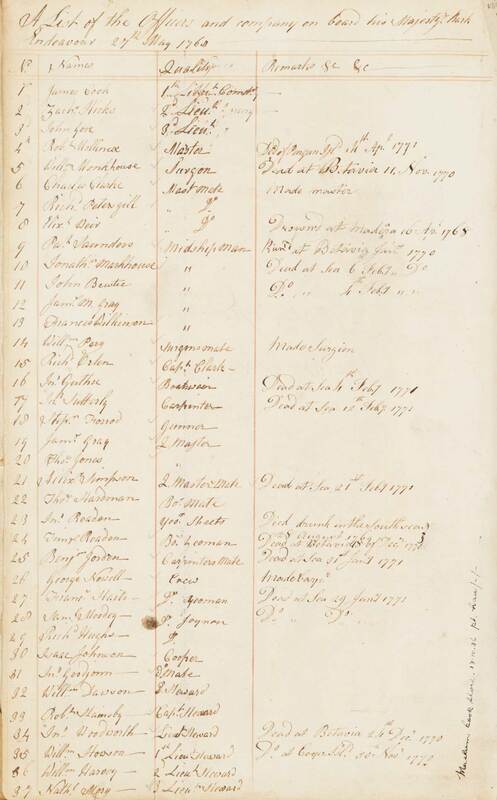 The list records the name and ‘quality’ (rank or occupation) of each person, with remarks on events such as promotion and dates of death, to August 1771. The details are humbling.